Holiday entertaining can be as daunting as it is delightful – from cooking the turkey just right, to mustering the energy to prepare all those appetizers and side dishes. As if that’s not enough, there’s the challenge of choosing the right wine, especially with so many food flavors to match. But with a few tricks of the trade, you can introduce a variety of vintages to help celebrate the season’s harvest and bounty. “There are always classic pairings, but around the fall harvest there are some fine wines released that pair well with a wide variety of foods,” says Chad Culley, certified sommelier and cellar master of the acclaimed Anchorage restaurant Orso. Orso’s culinary offerings burst with the flavors of the wines, herbs and spices used in North African, French, Italian, Spanish and Greek cuisine. 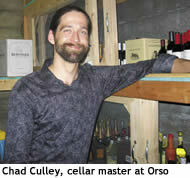 Culley draws his favorite vintages from the same regions – easily pairing the varied ethnic flavors with wines from famed vineyards in such regions as Alsace in northern France and Ribera del Duero in northern Spain. With the cornucopia of flavors and textures found in holiday meals, the trick is finding full-bodied whites and light- to medium-bodied reds that will bring out the best of the complex flavors found in traditional Thanksgiving and Christmas meals. 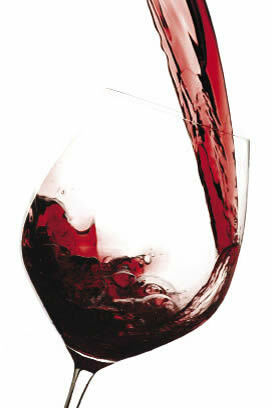 Beaujolais Nouveau, one of the most famous holiday wines, is released the third Thursday of November. The hand-harvested Gamay Beaujolais goes from grape to glass in just a few weeks. Grown in the appellation of Beaujolais in northern France, this first wine of the harvest has a refreshing fruit-forward flavor that pairs with everything from haute cuisine to country cooking – making it a quintessential food wine for the holidays. Among Culley’s holiday favorites are the Ribera del Duero region’s complex red wines, which are made from the Tempranillo grape (also known as Tinta del País or Tinto Fino). The vineyards situated along the Duero River are home to some of Spain’s most exclusive wines, including vintages produced by Vega Sicilia, Pesquera and Pago de Carraovejas. These little-known wines are delightfully delicious when they are young and are distinguished by their strong fruity aromas and full-bodied flavor. The Crianza, Reserva and Gran Reserva wines are aged in oak barrels to produce complex vintages noted for their dark spiciness and subtle fruitiness. Pricier and more complex than the younger reds from this region, the Reserva and Gran Reserva (which are released in December) are perfect for pairing with rich, flavorful winter dishes such as smoked ham, osso buco, stuffed peppers, Spanish tapas and roasted vegetables. Although red wines are most often paired with such hearty winter fare, Culley notes that there are several versatile whites able to stand up to the holiday season’s diverse dishes. In particular, Culley suggests the full-bodied Greco di Tufo, which is produced in Italy’s Campania region east of Naples. Culley also champions the whites from the Alsace region in northern France. Alsace Rieslings, which are drier than most German Rieslings, top the list of Culley’s favorite Alsatians. These versatile, full-bodied wines easily segue though a variety of textures and flavors – savory, salty, sweet and mild. Alsace Gewürztraminer is Culley’s second pick of the region. “Gewürztraminer is a spicy, floral wine that complements holiday cooking,” says Culley. Good quality Alsatian wines include Pierre Sparr, Trimbach and Zind Humbrecht, but Culley’s top picks are from Marc Kreydenweiss. But in the end, it doesn’t really matter which of these wines you pick for holiday entertaining. Whether you uncork a smooth Alsatian Gerwürztraminer or a celebratory Beaujolais Nouveau, it is the ultimate marriage of the food, wine, and holiday cheer that makes this the season to celebrate.